That is awesome. Hopefully I can attend the event in a year or so. Have fun handing them out. MaxGravy wrote: Bump. We're up to 103 bars! That's a lot more than we've ever raised through these projects. I will be recovering from surgery this year but I hope to make it there next year. We're now up to 107 109 ounces donated. This will close on Saturday. The bars are being made this week. The main event is one month from today. This project is now closed with a total of 109 ounces donated! Four weeks from today we'll be giving these bars away at the WFTW main event. Really incredible. We have a lot of warriors to talk with Randy. The main event was a huge success this year. 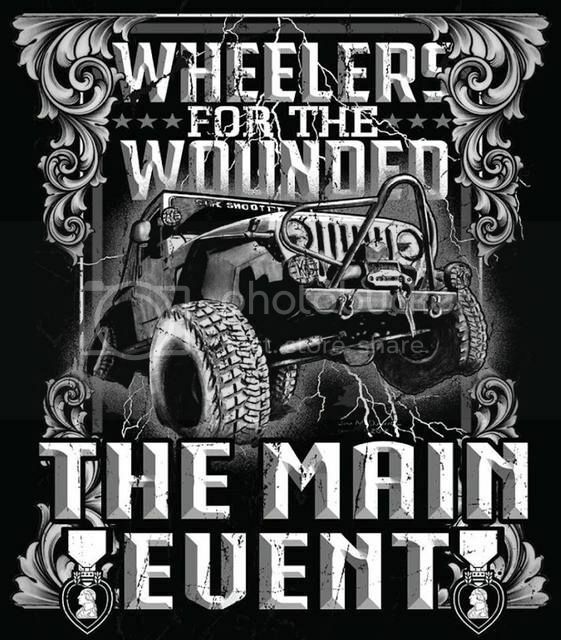 We had close to 1,000 people attend with over 300 Jeeps and around 130-150 wounded soldiers plus their families. We gave away almost 90 of the silver bars that were donated by Bullionstacker members. There were so many soldiers that we asked the emcee to have them raise their hands. We walked around shook their hands, thanked them for their service and gave each of them a silver bar. Some wounded soldiers had already left and others were actually volunteers for the event. We only gave bars to those who identified themselves. One small boy came up to us with his mom and said that his daddy was deployed. He also got a silver bar and we told him to tell his daddy thank you. After the event, we offered the remaining bars to the volunteers for a $25 donation to the WFTW. We sold all but two. I have those two bars right here and will offer them to the first two people who post in this thread saying they will make a $25 donation to the WFTW. I also have 2 event t-shirts available for a $20 donation each. Shipping is on me. A BIG TEXAS THANK YOU to everyone who donated to this project! I wish more of you could have been here to meet these true heroes and see the impact that the WFTW has in touching so many lives. This is the back of the T-shirt. The front is: WFTW over a Purple Heart. I would love to have one of the bars. Thank you gentlemen! The bars are gone but the t-shirts are still available. Great job Randy, Brenda, David, Tina, David, Dan.